Brazil, India, South Africa to Broaden "Voice of the South"
RIO DE JANEIRO, Sep 1 (IPS) - The sixth ministerial meeting of the India-Brazil-South Africa (IBSA) forum agreed Tuesday in Brasilia to strengthen the dialogue between the three emerging powers in order to establish common positions on regional and international matters and boost South-South cooperation. The IBSA forum was created in 2003 as a mechanism for political consultation and coordination and to bolster economic relations between India, Brazil and South Africa. IBSA provides a platform for the three large multicultural and multiracial democracies from three different continents to engage in discussions on cooperation in areas like agriculture, trade, defence and culture. The three countries have a total combined population of nearly 1.4 million people and a combined GDP of more than 3.2 trillion dollars. At their meeting in the Brazilian capital, foreign ministers Celso Amorin of Brazil, S.M. Krishna of India and Maite Nkoana-Mashabane of South Africa said they hoped trade among the three countries would climb from 10 billion dollars last year to 25 billion by 2015. In a joint statement issued at the end of the meeting, the ministers said the channel of dialogue that has been established should serve to broaden the collective voice of the South. They also called for regional cooperation mechanisms based on common experiences and complementarities. On November 5, 2008, the Chinese government released a policy paper on Latin America and the Caribbean, as it had previously done so for Europe in 2003 and for Africa in 2006. Although it may not come as a huge surprise that Latin America is the most recent region for which China has formally spelled out its foreign policy position, the region has been historically perceived as being under the United States’ sphere of influence. Perhaps the importance of the Chinese policy paper lies in the timing of its release. 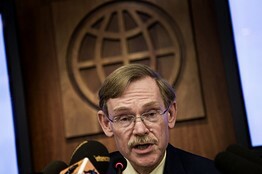 The release of the paper deliberately coincided with the unfolding of the current financial crisis; this congruence of events has allowed China to expand its influence in this somewhat neglected region without attracting any lasting venom from the U.S. China’s policy paper formally evidences the importance of Latin America and the Caribbean as part of China’s growth plan for its long-term strategic interests. Most of all, this includes access to raw materials as well as a plethora of natural resources, the infiltration of new foreign markets, the reduction of diplomatic support for the Republic of Taiwan, and the strengthening of Beijing political standing on the global stage through strong alliances cemented with the developing world. The policy paper explicitly states its main objective is to “clarify the goals of China’s policy in this region, outline the guiding principles for future cooperation […] and sustain the sound, steady and all-around growth of China’s relations with Latin America and the Caribbean.” In the economic realm, China expresses an interest in investing in energy, mineral resources, forestry, fishing and agriculture, areas important to expanding China’s productivity. Additionally, the Chinese government seems to show interest in infrastructure projects not directly related to its economy, albeit essential in the transportation of natural resources, and proposes to fund these projects in order to be perceived as a partner in development. Furthermore, China expresses its desire to increase military diplomacy and sale of equipment to the region. Although many of the report’s statements are merely rhetoric and general in scope, the paper helps formalize China’s economic, diplomatic and military ties with Latin America, which were first proposed by then President of China Jiang Zemin in 2001. The policy paper was released against the backdrop of the current financial crisis and the corresponding economic hardships that have severely hit the U.S. and Europe. Its publication deliberately coincided with the emergency G-20 meeting to discuss the economic crisis that was about to take place in Washington. More importantly, it preceded Chinese President Hu Jintao’s visit to Peru for the November 2008 Asia-Pacific Economic Cooperation (APEC) summit, at which he presented China’s foreign policy towards Latin America. This timing of the paper’s release was especially important for the countries seeking to diversify their export markets and decrease their dependence on declining Foreign Direct Investment (FDI) from the US and Europe. With the vast foreign reserves accumulated by China –which totalled US $1.95 trillion in December 2008– the region had valid reasons to closely follow the summit’s developments. To access this article in full you must register for MecroPress's website. Brazil announced on Monday new oil exploration rules to increase state control over its recently discovered offshore oil reserves. Under the plan, the state-owned oil and gas giant Petrobras will be the sole operator of the new oil reserves. It will also have a minimum 30-percent stake in all future projects in the pre-salt layer fields. Brazilian President Lula revealed the government's plans to make Brazil one of the top 10 oil producers in the world and develop what he believes are the world's 9th largest oil reserves, but his announcement of increased state control and further equity sales shook markets, causing Petrobras to lose $7 billion in value in one day. Brazilian President Luiz Inacio Lula da Silva’s plans for the development of the country’s offshore oil fields stripped Petroleo Brasileiro SA investors of $7 billion in a day. The proposal, announced yesterday, may allow the state to boost its stake in the company and ensure most income from oil exploration “stays in the hands of our people,” Lula said at a press conference in Brasilia. Petrobras, as the Rio de Janeiro- based company is known, led the Bovespa stock index to the biggest drop in the Americas yesterday after the announcement. Venezuelan President Hugo Chavez said that his country will continue exporting oil to the United States because it is in the Andean nation’s interest. Chavez said in a statement published in the Lima daily El Comercio that “many people don’t know” that Venezuelan state oil giant PDVSA, through its Citgo subsidiary, has seven large refineries and more than 10,000 service stations on U.S. soil. “Venezuela can’t take a decision against ourselves. We send the oil to our refineries and to our distribution systems in the United States,” he said. The Caracas Stock Index rose 3.16% for the week to close at 49,507 mostly on the back on the continued rise of Sivensa shares on continued optimism over the buyback of its shares to be considered at its shareholders meeting next week. Sivensa shares rose sharply, closing at Bs. 16.5 for a 37.5% rise. At least two soldiers were wounded in an attack apparently mounted by Shining Path guerrillas Monday against a counterinsurgency base in central Peru’s Junin province, Canal N television reported. The guerrillas opened fire around 3:30 a.m. on the Jose Olaya base in the strife-torn Valley of the Apurimac and Ene rivers, known as the VRAE region, Canal N said. Bolivian President Evo Morales’ government will present a formal complaint to Peru over its plans to drill for oil in Lake Titicaca without consulting La Paz, state-run news agency ABI reported. Hydrocarbons Minister Oscar Coca sent Bolivia’s Foreign Ministry a note requesting that a formal complaint be made since the body of water straddles the border between the two nations, ABI said. “Since Lake Titicaca is a bi-national area, it’s obvious that there can’t be unilateral actions” and therefore the matter requires a diplomatic solution, Coca said. Pressured by a global economic crisis and a stern U.S. economic blockade that has lasted nearly half a century, Cuba is actively seeking ways to boost its agricultural production. The measures include turning over land close to cities to residents to plow, replacing fuel-burning tractors with oxen, redistributing fallow land and raising the prices of state-regulated farm products. Can anyone else catch that intense aroma of bootleg in the air? I don't mean to point fingers at China because hey... all the major mobile company's around the world have made Iphone / smart phones that are comparable to the Iphone. 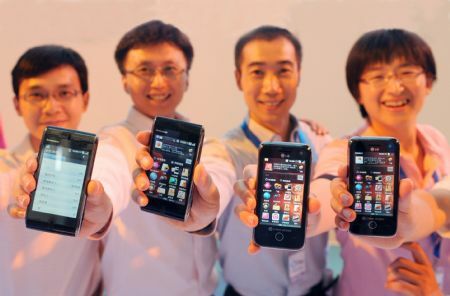 These phones are China's homegrown challenge to the Iphone which has finally reached a "non-exclusive" agreement with China Unicom, which will be the initial carrier Apple works with in the mainland. 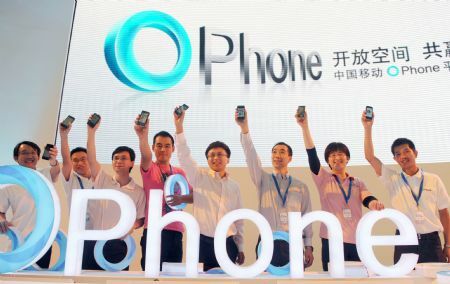 handsets at the first-issuing ceremony in Beijing, China, August 31, 2009. I say... Let the competition begin. I just wonder if something shady is going going on behind the scenes because China Mobile and China Unicom are more like reflections of one another in terms of their company structure and place in the Chinese economy. Yes, China Mobile is bigger and has far great market share, and yes both company's have separate management and are traded on different tickers on various stock exchanges. "Government wants two big company's to make illusion of real competition, but read story is two company's mean more important jobs for people with connections and image of fair market." I personally own shares of China Unicom ADR here in the states. Meaning... despite what people tell me about the real situation with telecoms in China, officially, I buy into the hype. stagnation and spiraling welfare costs. reversal of the last election in 2005.
public it can change the system." first of that party's 22 prime ministers.